Okay! It's been one week [cue the song!] since I have applied the Haute Polish. This time around, it was pretty bearable because I had beautiful colors that I loved! Very quickly, here is a visual of the process. So, in the kit, they give you a TON of these remover packets. 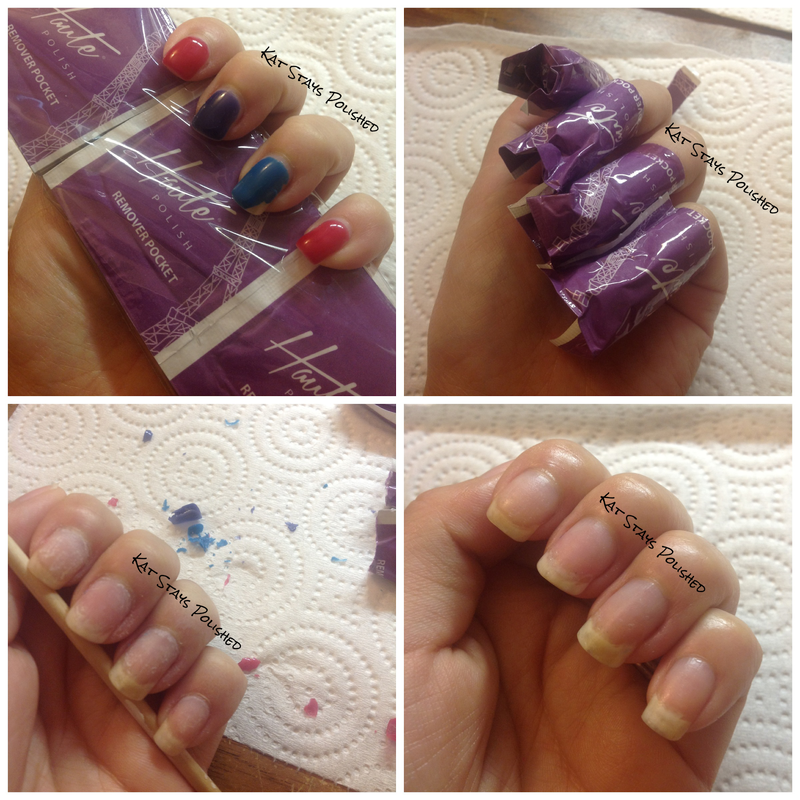 It's enough to be able to remover several manicures, which is totally convenient on their part. If you watch my video, you'll see where I'm a little skeptical about the effectiveness of these packets. Overall, they worked just fine. If you know how to use an orange wood stick, you're good. This removal process is very easy, pretty mess-free, stink-free, and can be done while you're on travel too. I definitely give this one a thumbs up! Thank you Haute Polish for letting me review your products! In a few weeks, I might try to do a little design with the colors I have.